Pittsburgh Restaurant Week is currently seeking sponsors. Sponsorship of Pittsburgh Restaurant Week offers Sponsors an opportunity to boost awareness among Pittsburgh consumers. By supporting Pittsburgh Restaurant Week, Sponsors will receive maximum exposure prior, during and after the event through aggressive marketing and media relations activities. Benefits of Sponsorship Prominent company name, logo display, website link and background paragraph on www.pittsburghrestaurantweek.com/pghrestaurantwk Honorable mentions on Social Media pages: Facebook – www.facebook.com/PittsburghRestaurantWeek Twitter – www.twitter.com/PitRestaurantWk One e-mail newsletter promoting a service, product, or exclusive deal to all participant contacts. Sponsors are responsible for providing content for e-mail newsletter. Banner ad on high-traffic pages on www.pittsburghrestaurantweek.com/pghrestaurantwk Interesting in being a sponsor? 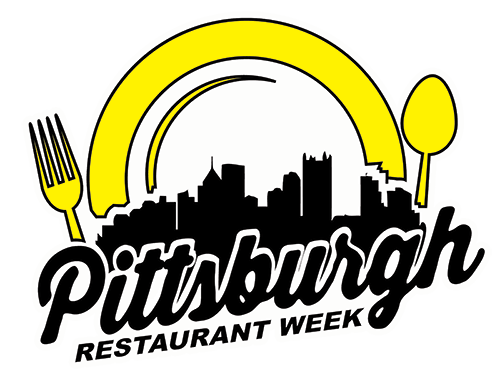 E-mail info@pittsburghrestaurantweek.com/pghrestaurantwk for more information. Preview restaurant week at our exciting Kickoff Party on Thursday, August 6. Visit select restaurants during preview weekend for early specials August 7-9. Dine across Pittsburgh during Pittsburgh Restaurant Week Summer 2015: August 10-16. Is this your first time enjoying restaurant week? Check out these tips for getting the most out of Pittsburgh Restaurant Week. 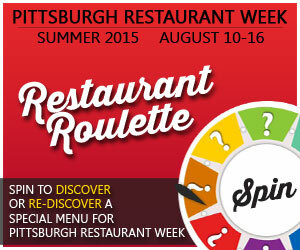 Register to receive the Pittsburgh Restaurant Week newsletter for the latest in PRW news.